Surviving the Holidays with Autism – It Is Possible! 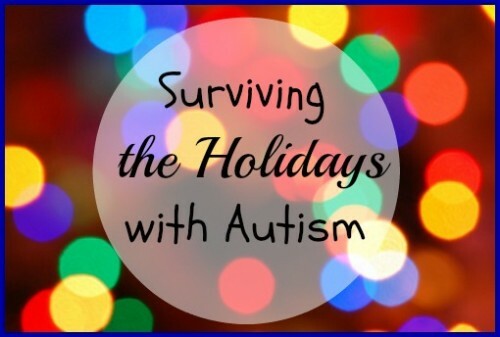 As the mom of one child with severe autism (age 19) and another with Asperger’s (age 17), I’ve learned a few tips and tricks over the years for surviving the holidays with kiddos who have autism or other sensory issues. 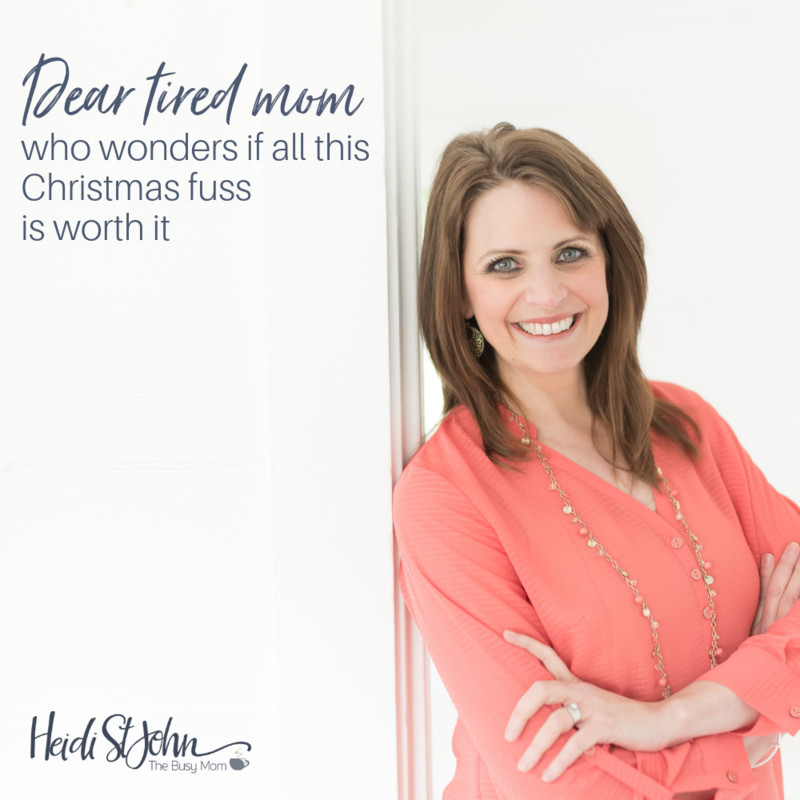 So many children (and adults) now days have sensory issues, and it’s not always easy to know how to handle the holidays with everything that comes along with them : visitors, bright lights, new toys, traveling, new foods, and so on. I hope this information is helpful to you! 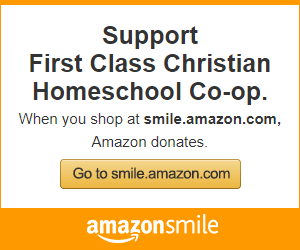 Of course you may have to tweak things here and there so that they work for your specific child and family, but my prayer is that this will help you head in the right direction. Remember that bright lights and singing Christmas carols may make you happy, but they may be “too much” for an autistic person. 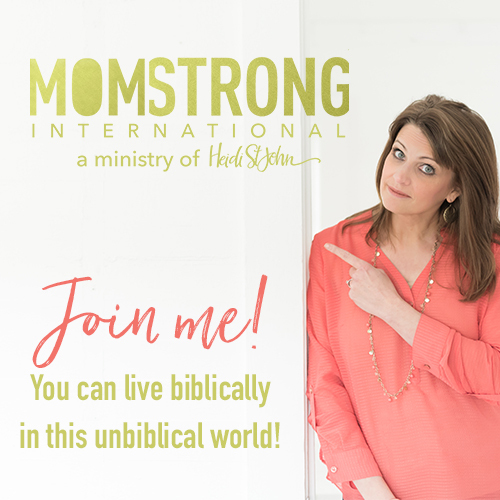 You may want to simply ask her if she’d like to leave the room (or stay someplace quiet—possibly with a grandparent or friend)instead of attending an event where there will be lots of bright lights and singing. Also, keep in mind that she may not enjoy driving around town to see the Christmas lights. But be sure to give her a choice! My autistic daughter loves to hear folks sing Christmas carols, but my son finds it very hard to deal with and does not enjoy it at all! To autistic people, being surprised may cause anxiety! For many years, my daughter refused to open Christmas presents with the rest of the family. It made me so sad that she wouldn’t join in the fun! What I didn’t realize was that being surprised wasn’t fun for her. It made her feel anxious. As she’s gotten older, she’s gotten more willing to open presents with the rest of us as long as she only has 1 or 2 presents to open. This allows her to join in the fun, yet it keeps her from being overwhelmed and feeling anxious. Keep in mind that many autistic folks don’t like new stuff. Most of us really look forward to opening presents and getting new things. Many autistic people, though, don’t like new things at all! They like what’s familiar to them—the things they’re used to that make them feel safe and secure. It might be a good idea to do what my family has always done. We simply explain to folks (especially friends who want to give my daughter a gift) that Hannah needs time to get used to something before she can begin to enjoy it. Then, in a few days or a few weeks once she’s gotten used to something and is willing to use it, play with it, etc., we take a picture of her with the new item and send it to the gift giver. Another possibility is to allow your autistic child to open 1 present each day for several days. If getting several new things on the same day causes stress for your child, allow him to open only 1 present each day for several days. You can start opening a few days before Christmas, or you can start on Christmas and finish up on whatever day you run out of gifts. Make sure all gifts will be ready to use or play with as soon as they are opened. When we wrap gifts for my daughter, we make sure to remove any packaging (such as shrink-wrap that movies and CDs are often packaged in) so that it’s ready the minute she gets it open. My daughter loves stuffed animals. We always make sure all tags have been removed before we wrap any stuffed animals so she won’t have to wait for us to remove tags after she opens the gift. Do a Christmas count-down. Several days before Christmas (or before a Christmas event such as a gathering at someone’s home or at church), begin counting down the days until the event occurs. Many children will do best with some sort of visual count-down like marking off days on a calendar or making a paper chain and cutting off one link each day. Discuss each day what will happen, who will be there, etc. Try to keep as many familiar routines, foods, and friends as possible. It’s often best to try to keep your routines as “normal” as possible for an autistic person. Even if that just means getting up and going to bed at the usual times, eating the usual foods at meals (at least the meals that you have at home), and maintaining a daily schedule that includes at least some familiar activities, this will help your autistic child feel more secure and not so anxious and out-of-control. 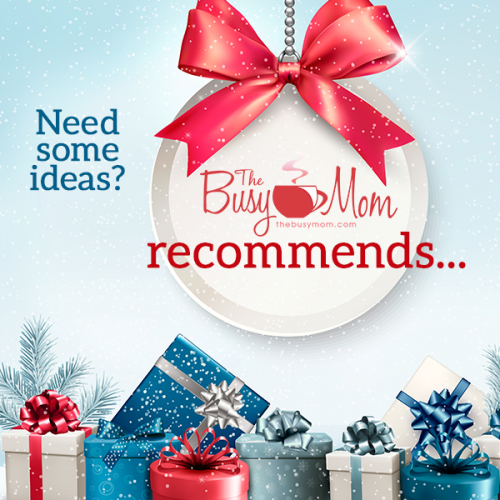 Prepare to get back to a normal routine once the holidays are over. It’s often very hard for autistic folks to handle a routine that’s completely different over the holidays. It’s also difficult sometimes to get back to the usual routine once the holidays are over. Some children who deal with depression and anxiety may actually have times of sadness and anxiety when the holidays are over and it’s time to get back to school or work, etc. This might be another good time to use a calendar to mark off the days or to use a paper chain and cut off one link each day as the “deadline” approaches. 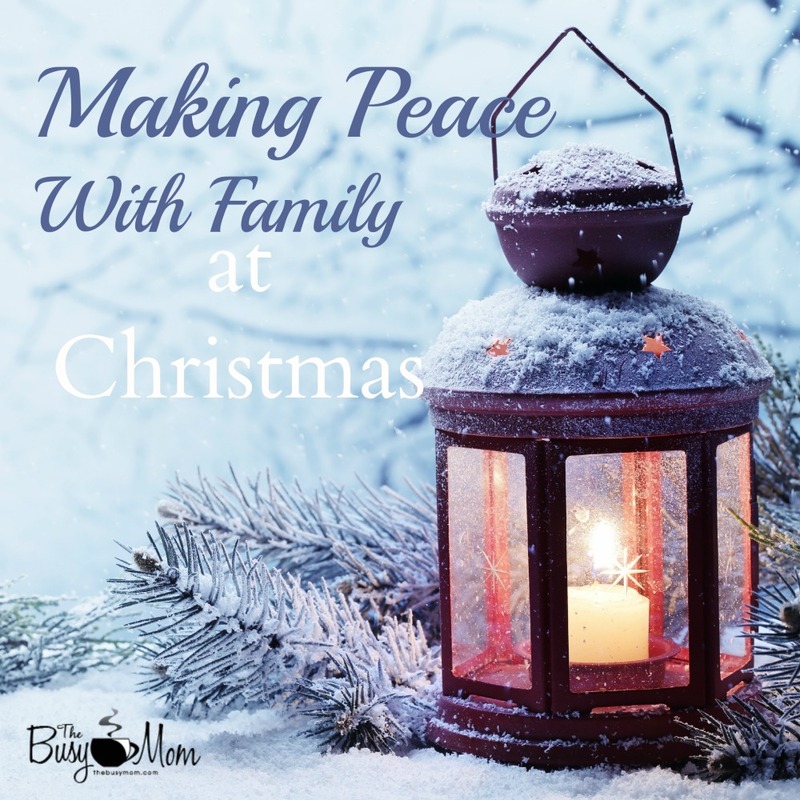 The truth is that helping your autistic child make it through the holidays can be challenging. But by planning ahead and recruiting help from friends or relatives, you can do your best to help make this holiday season fun and enjoyable for the whole family. Do you have any tips or tricks to share with other moms of children with autism or other sensory disorders? 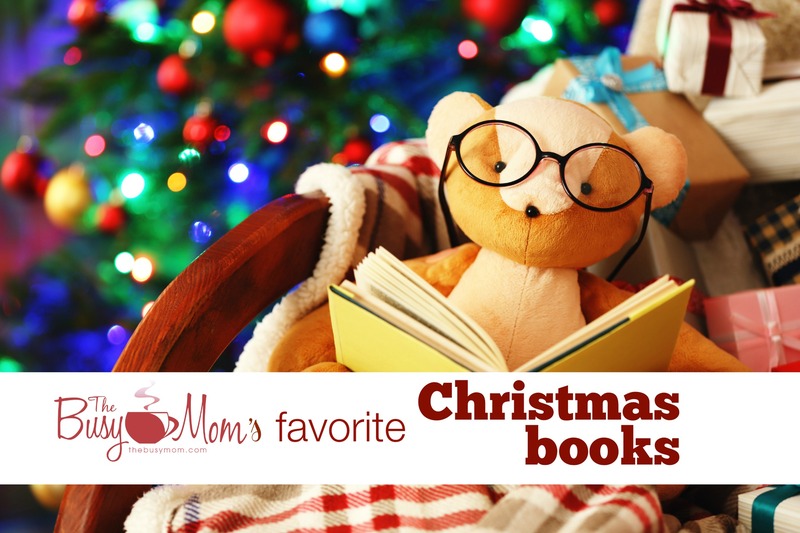 We’d love for you to share them with us! Image courtesy of http://www.freedigitalphotos.net/ “Christmas Lights Glowing (blur motion background)” by artur84. I went to the mall on November 14th this year. It made me sad. And then—then it made me mad. Christmas is here, apparently. Santa’s got his chair all ready to go. Ornaments hang cheerfully from the mall ceiling. Christmas songs are playing. As I looked around, I wondered: What happened to Thanksgiving? Where are the decorations for Thanksgiving? Where are the pictures of Pilgrims and Indians? I miss Thanksgiving with the Walton family. Forgetaboutit. It’s time to buy more stuff. Everyone’s talking about Christmas. The sales. The glitz. The sparkle. Thanksgiving doesn’t sparkle. It has a softer glow about it. Thanksgiving offers a quiet peace. 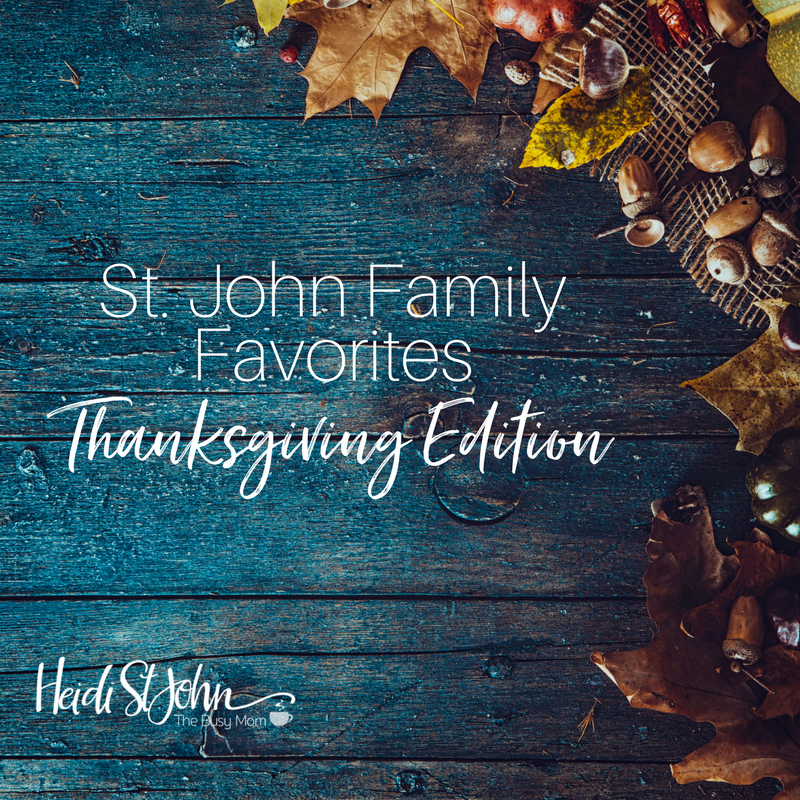 Thanksgiving offers time to reflect and to be thankful–and heaven knows we need more of that these days. I wonder if we’re forgetting Thanksgiving. Here in my neck of the woods, we roll Santa out right after the mummies go back into storage. Is it happening where you live, too? Every year, Christmas decorations go up earlier. Every year, we hear less about this cherished tradition of giving thanks. Bring on the gift giving. Americans like to GET things—and in the process, we’ve allowed ourselves to forGET that it’s better to give than to receive. I don’t know about you, but I want my kids to know the history behind Thanksgiving. I want them to know about Squanto and the Mayflower. I hope they realize what those Pilgrims came here for. They came for freedom. I want them know that it Thanksgiving would have disappeared altogether if Sarah Hale had not petitioned no less than five US Presidents to make it a national holiday. Read her amazing letter here. We’re missing it if we miss this special time. But then, we’re missing a lot of things in the United States these days. 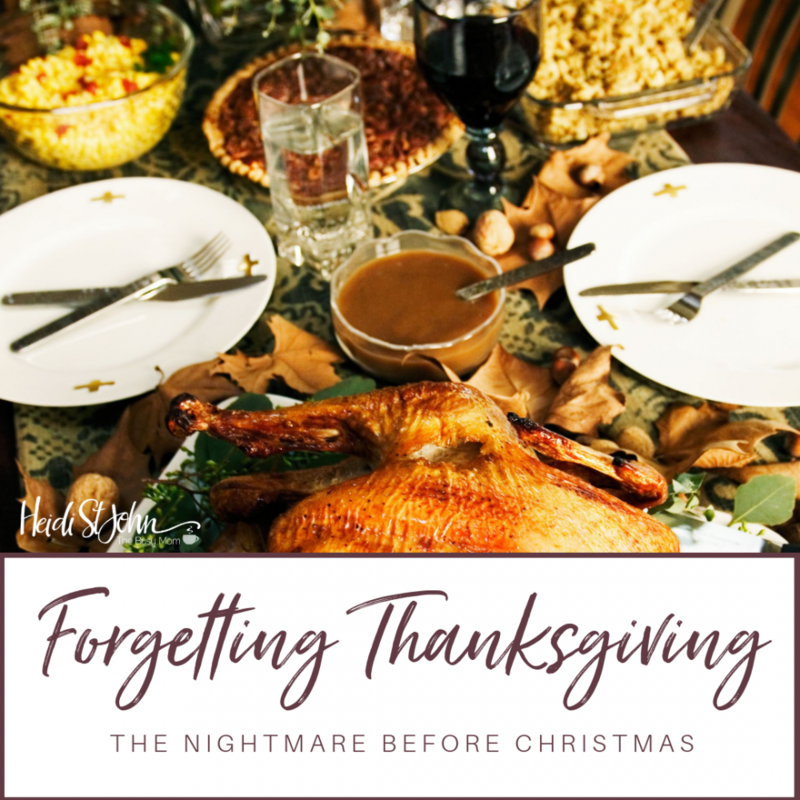 Forgetting Thanksgiving, or even side-lining it, is a big mistake. But then, we’re making a lot of mistakes in the United States right now. I want my children to look forward to gathering around the table at Thanksgiving. I want them to remember seeing their grandparents, parents, aunts, uncles and neighbors bowing their heads in reverence and gratitude to God. I want them to learn that being thankful for what we have is better than getting things. When I’m gone, I hope my grandchildren remember that their Mamsi loved to cook a turkey just right for whoever would come and enjoy it with us. I hope they still watch “Charlie Brown’s Thanksgiving.” I hope they will tell the story of Thanksgiving to their children. I hope they’ll read Sarah’s story to their own children. To me, Thanksgiving is sacred. There was something almost magical about driving through town to grandma’s house as a child and noticing that every.single.store. was closed to honor this special day. We took a break. We played games. We ate food. We listened to the stories of our grandparents—and we learned to give thanks. To forget is to miss out on the blessing. Let’s remember. Let’s stop shopping for one day and give thanks to God for all we have. Yes, it’s just one day, but it’s no ordinary day. Take time. Slow down. Look up. Look around. Be thankful.